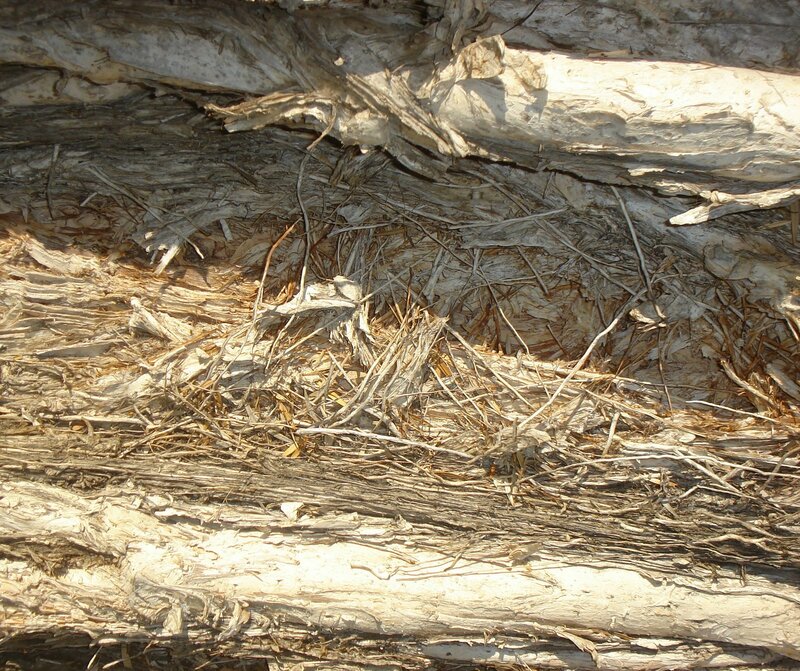 I loved the almost thread-like character of this bark from a ti tree I think. I think this one is a cedar of some sort as is the one below. 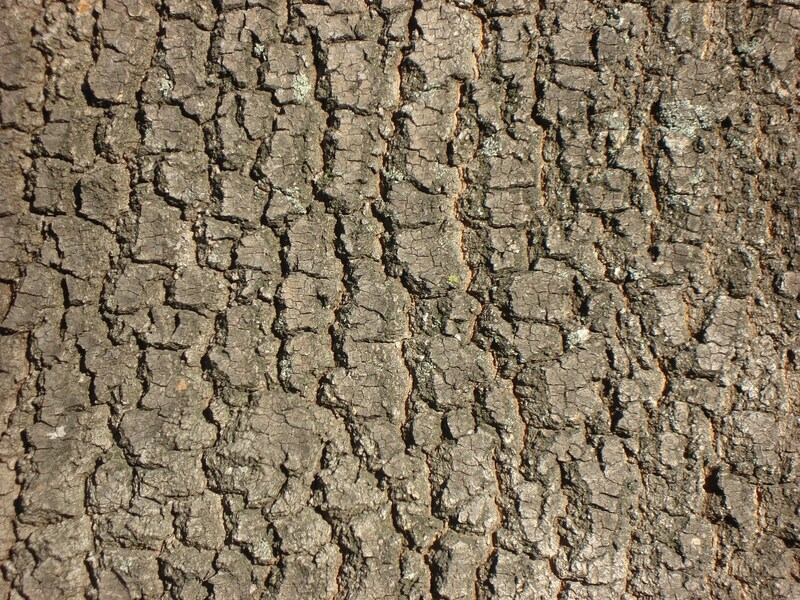 Fantastic texture to the bark. This last one is at my house. 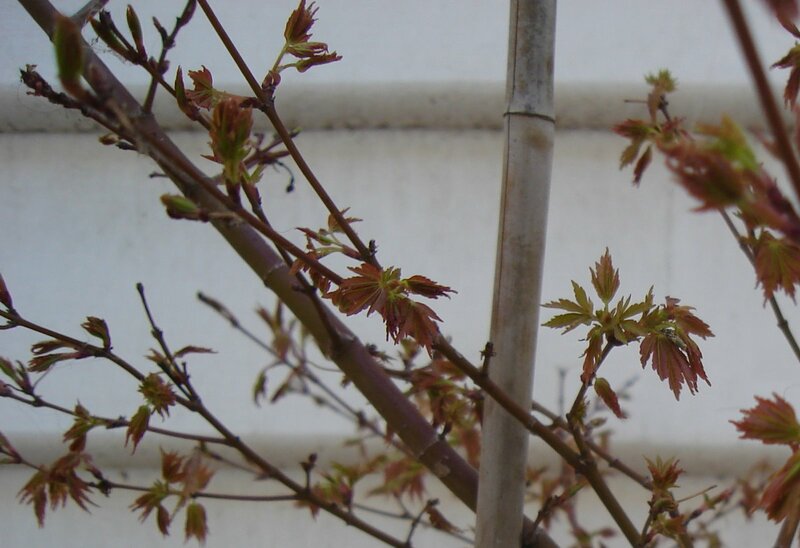 It’s a Japanese Maple that I’ve grown from a tiny seedling that my father dug up from underneath the JM at his former house. Last time he was at my house he said he thought it was dead. IT’S ALIVE! And doing fine. yay. 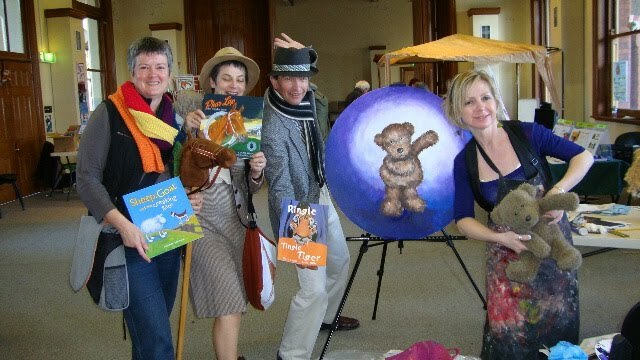 L to R…me, Jackie Kerin, Mark Austin, Pemberthy Bear and Jacqui G. To those who know Sally Murphy’s Pemberthy Bear, this is Pemberthy, taking a bow. I’m just back from South Australia. 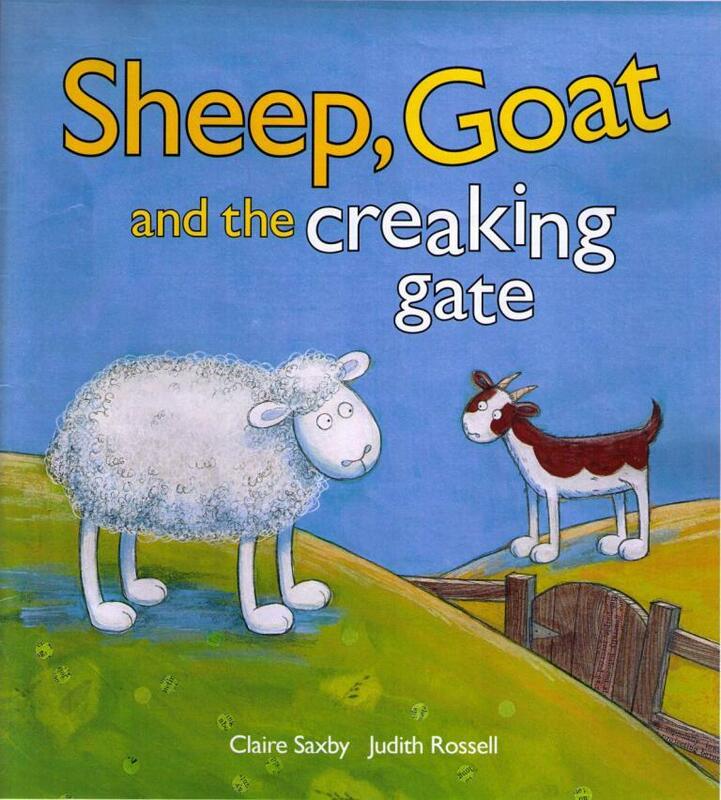 ‘Sheep Goat and the Creaking Gate’ was launched at a May Gibbs Children’s Literature Trust morning tea on Sunday 16 August. 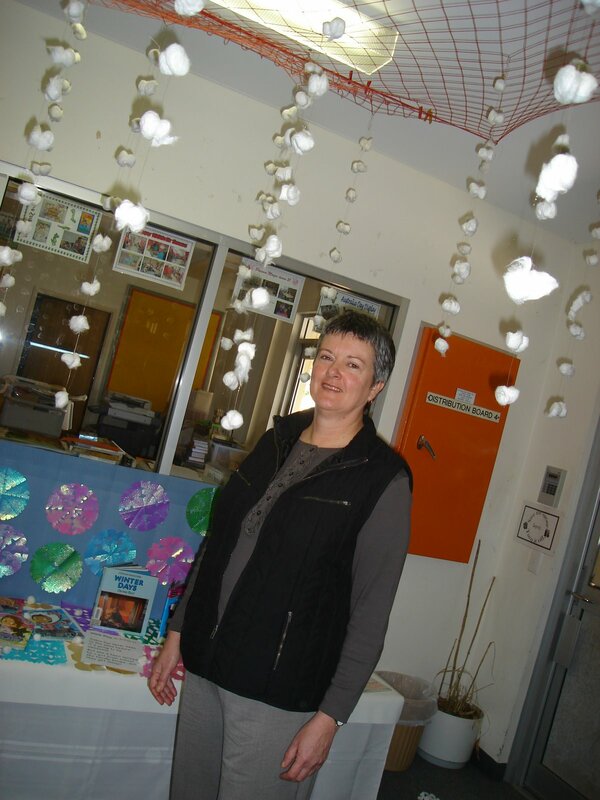 The morning tea was for current Fellow, Judith Rossell, who illustrated ‘Sheep, Goat and the Creaking Gate’. Both Jude and I were keen to finally see copies of the book. Hmm. The books weren’t there! Julie Wells of the CBCA SA launched this book-that-wasn’t-there and then Jude talked about all her books (her work is fantastic) including the-one-that-wasn’t-there. Hmm again. An interesting idea really, launching a book without the book. Was quite funny really, but perhaps only because copies did finally appear! Then I read the book while Jude showed the illustrations. The audience were lovely and laughed at all the right times and said nice things afterwards. A good way to finish! 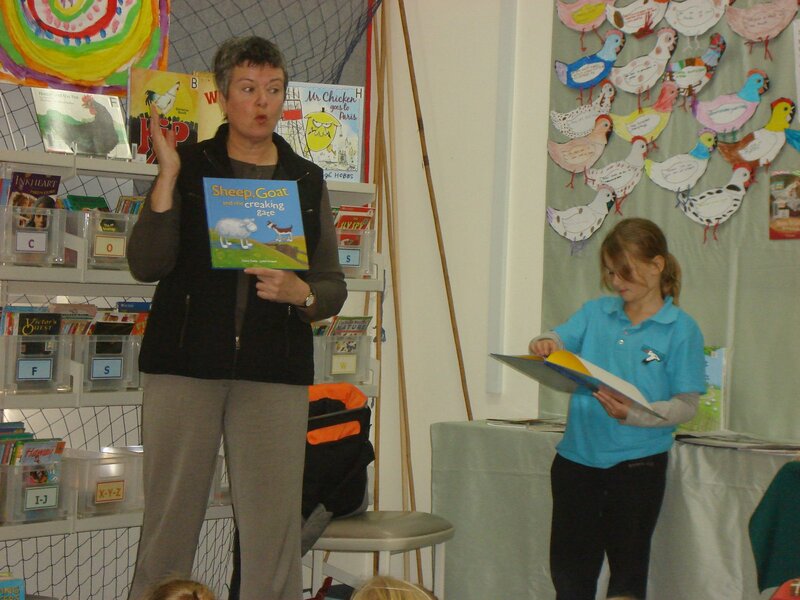 On Tuesday, I spoke to three classes at Goolwa Primary School. Nan Halliday (who wears many hats and had at least two on that day) drove me through the beautiful Fleurieu Peninsula countryside to the school. On our arrival we followed a snowflake path to the library to be greeted by a snow storm (constructed by the children after reading Snow Play). Further in, there were two seascapes with many boats (including a display around Ebi’s Boat). 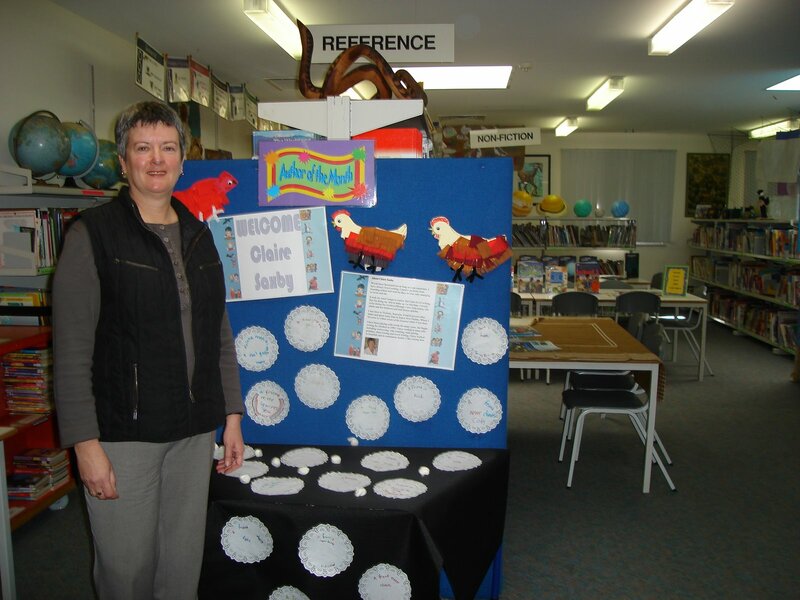 Where I was to speak was also decorated, this time with many chooks! There were chooks on the wall, chooks on a barnyard table complete with hay and eggs. (for my books A Nest for Kora and Snow White and Grubby). It was such a lovely way to start the sessions. I had a wonderful time and have seldom felt quite so welcome. 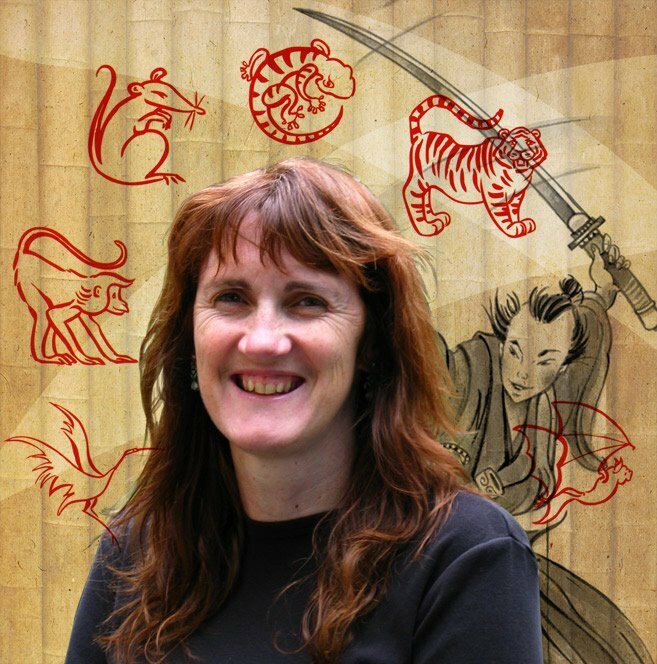 While I was in Adelaide, my blog tour began and is now continuing it’s journey around Australia. I’m off to Adelaide on Sunday to join Judith Rossell for a launch of our picture book, ‘Sheep, Goat and the Creaking Gate’. I’m really looking forward to it (apart from the 7.00 am flight…who booked that?) , and have my fingers crossed that there will be copies available (they’re not yet available here in Victoria). 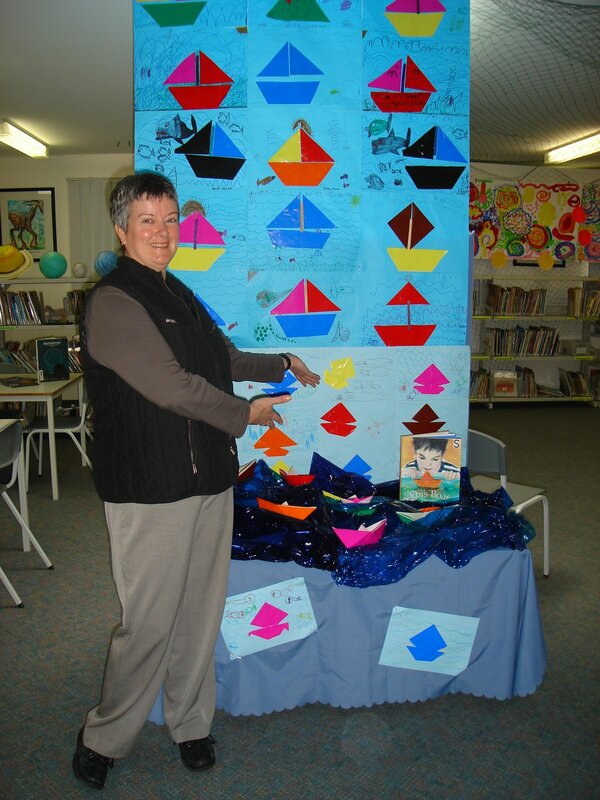 Then on Tuesday I’m off to Goolwa south-east of Adelaide, on the mouth of the Murray River to do some school visits. I’ve been boning up on my sheep and goat info and can now sing…no perhaps I won’t just now…there’s time for a bit more practice. I’m excited about the school visits but also about visiting the mouth of the Murray. The river is such a big part of northern Victoria and it will be interesting to see where it empties into the sea. I know I’m not seeing it at its best after years of drought but I’m guessing it will still impress. Monkey Fist almost didn’t happen. “You can’t write a story about six children with disabilities,” was the feedback from friends when I floated the concept for Samurai Kids. “Why not?” I asked. Apparently it’s not politically correct. Rather than be discouraged, I was even more determined. Kids with disabilities have the right to have a go at anything within their realms of possibility. There’s nothing furtive about it. We all have challenges to overcome in our lives. Some are obvious like Niya’s one leg or Taji’s blindness; others are less easy to see, like the childhood experience that makes Yoshi refuse to fight. “But, you can’t group them all together. It, well… it attracts attention,” I was told. Exactly. We should celebrate everyone for who they are. We all have strengths and we all have weaknesses. And why shouldn’t a boy with one leg befriend a boy with one arm? So in my samurai world of the mid 17th century, Sensei Ki-Yaga’s hand-picked students are the children no-one else believes in. But Ki-Yaga is wiser than other teachers – he knows that from our weaknesses we can create great strength and things we cannot do alone, we can do together with friends. 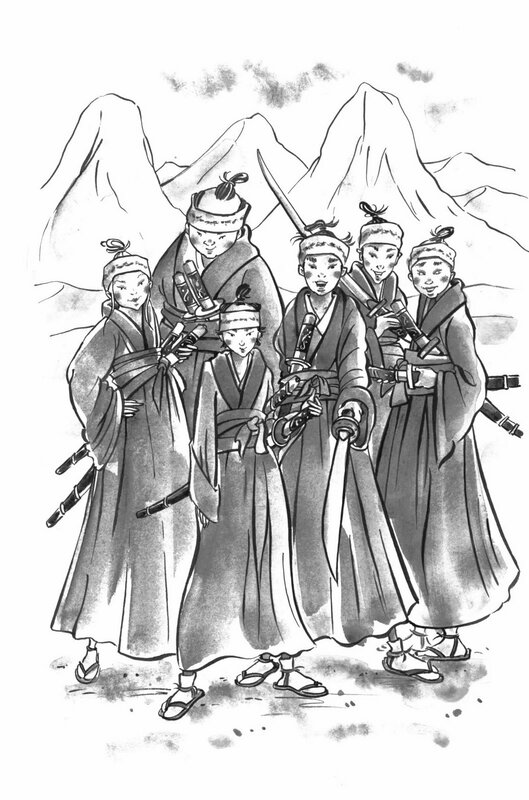 The Samurai Kids have action-packed adventures, they triumph over villains and they travel all over the known world. They also make mistakes, laugh at each other and occasionally get frustrated at the things they can’t do as well as others. I first met Niya, the narrator, when I was driving to the supermarket. “My name is Niya Moto and I am the only one-legged Samurai kid in Japan” he said. The sentence burrowed into my brain. I wanted to know more about him, his friends, his teacher – and what did a samurai kid learn anyway. Kids laugh when I tell that story. But they are never laughing at Niya because their admiration is obvious. They are impressed he had a go. My characters feel the same way. They laugh at themselves too – sometimes it is funny to fall on your face no matter how many legs you have. And sometimes it is hard to dust yourself off but the help of good friends and the encouragement of a wise teacher make it a lot easier. Niya’s next words to me were: “Did you feel how it felt? To stand there so still and perfectly balanced. Like the White Crane.” He didn’t focus on the fall but the connection he felt to the spirit of the White Crane and the balancing skills that would see him win an important wrestling match. I admire Niya. He’s brave and gutsy, funny and witty. He can’t run fast or swim well but he can outwit the Dragon Master and he’s the best archer in the Tateyama Mountains. He’s my hero and I’m thrilled I can continue to tell his story. 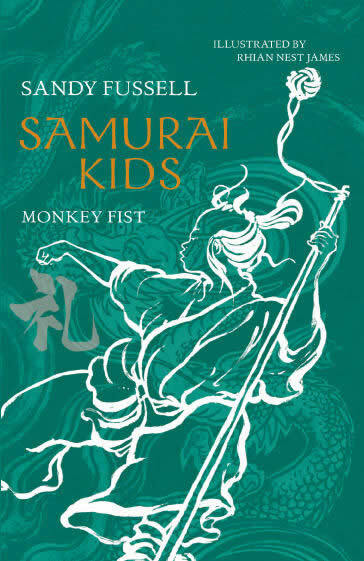 Monkey Fist won’t be the last adventure for the Samurai Kids. A fifth and sixth book are scheduled for the series.